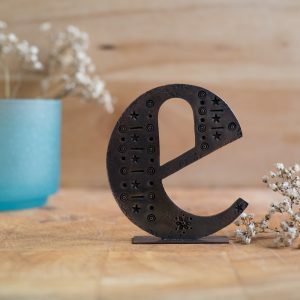 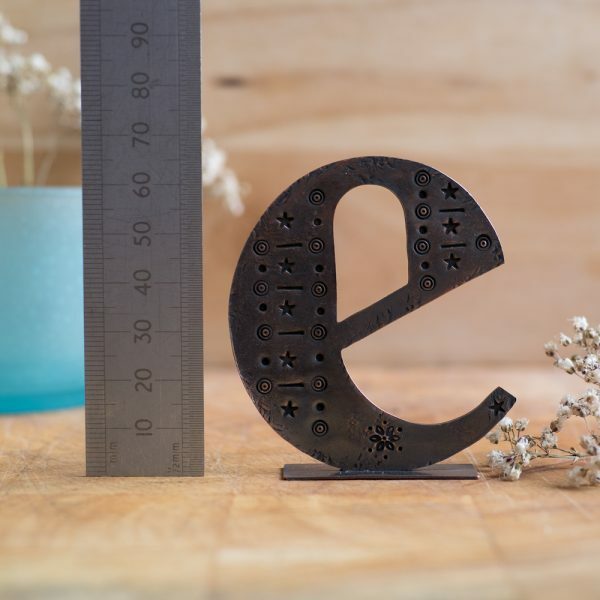 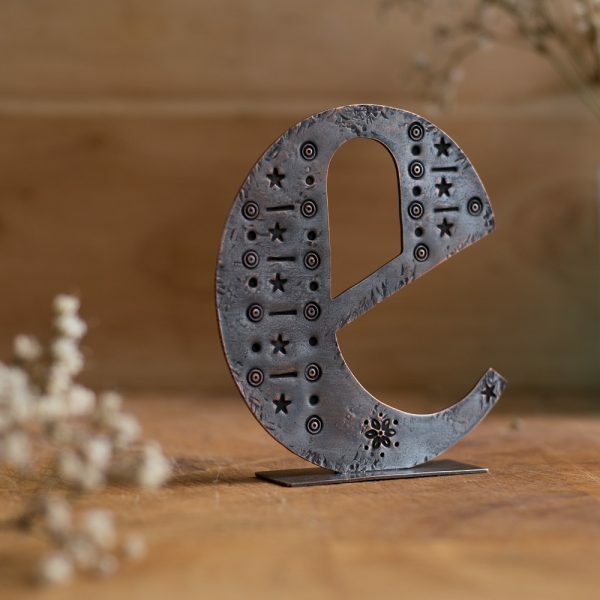 Standing at just under 6.5cm, this copper letter E is hand cut from a flattened copper plumbing pipe. It’s surface has been stamped with decorative shapes and patterns. It is soldered onto a small flat copper stand which enables it to stand up on it’s own. 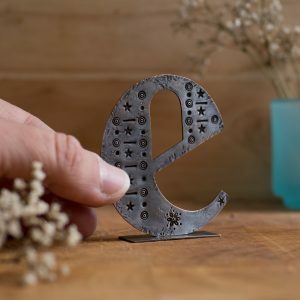 As each letter in this collection is handcrafted, the one you receive may vary slightly from the lettter pictured. When out of stock this item is made to order. Simply place the item in your basket and pay today. 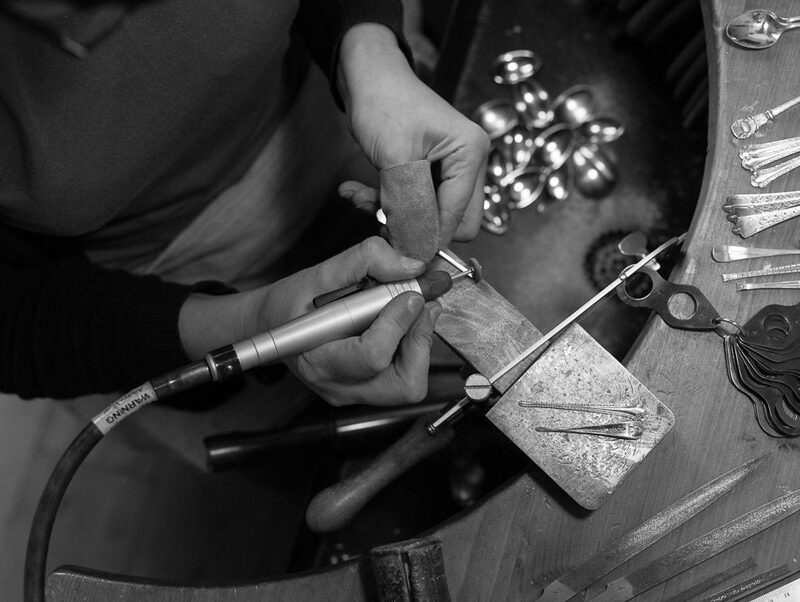 Your order will take approximately 7 days to be processed, handcrafted and shipped.